We guarantee the highest possible flexibility for customized requests. All of our tablet presses, duly CE certified and labelled, comply with GMP guidelines as well as with the international safety standards. 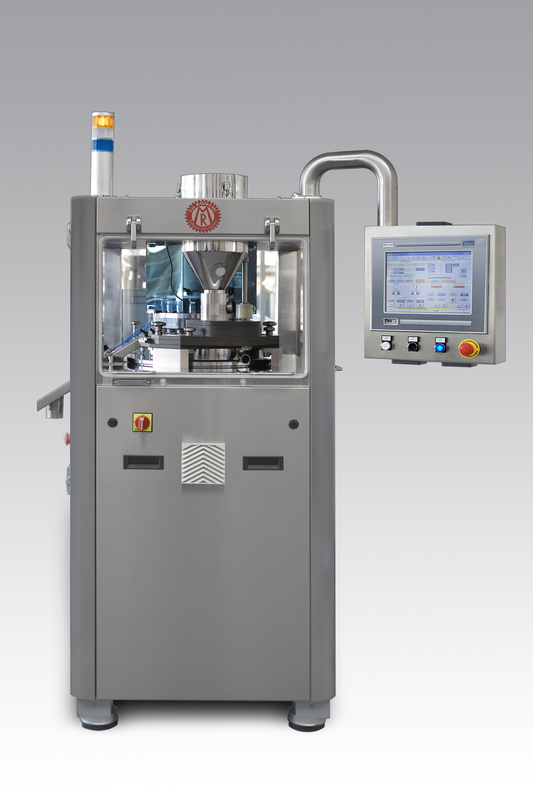 The new model, is a restyling in its electronics and design of the well known PA press. The mechanical elements, sturdy and well tested over the years, have remained unchanged. 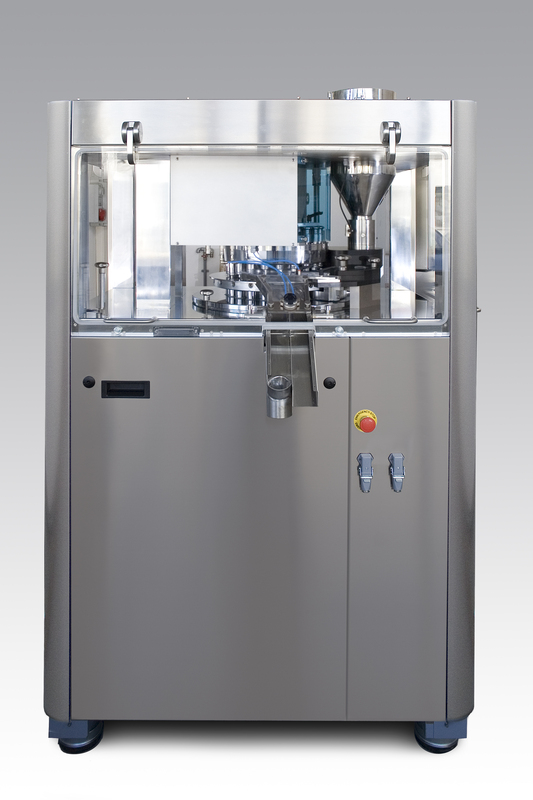 The outer case consists of stainless-steel panels and transparent polycarbonate flaps, completely foldable for easy maintainance and easy access for tooling change and mechanical servicing. The inner lining is made with sound-absorbing material to reduce noise levels. 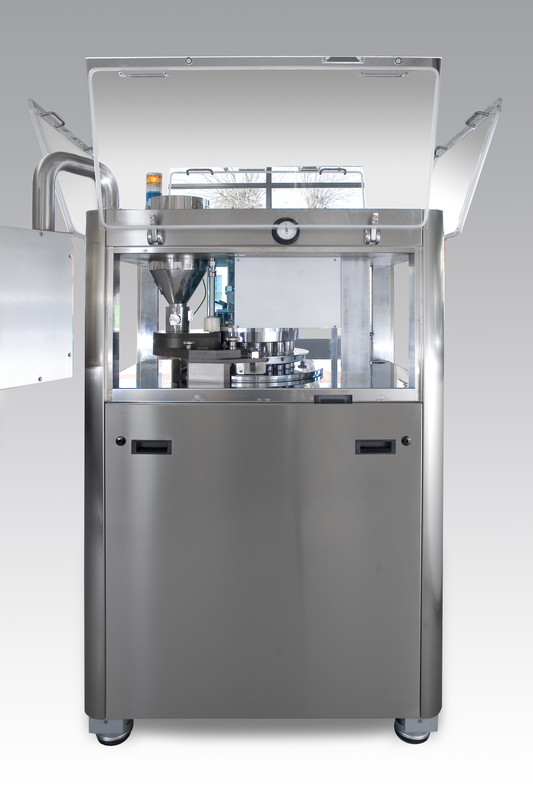 PA Milano is available with 14 to 32 stations, for Ronchi and Euronorma type B and D tooling. 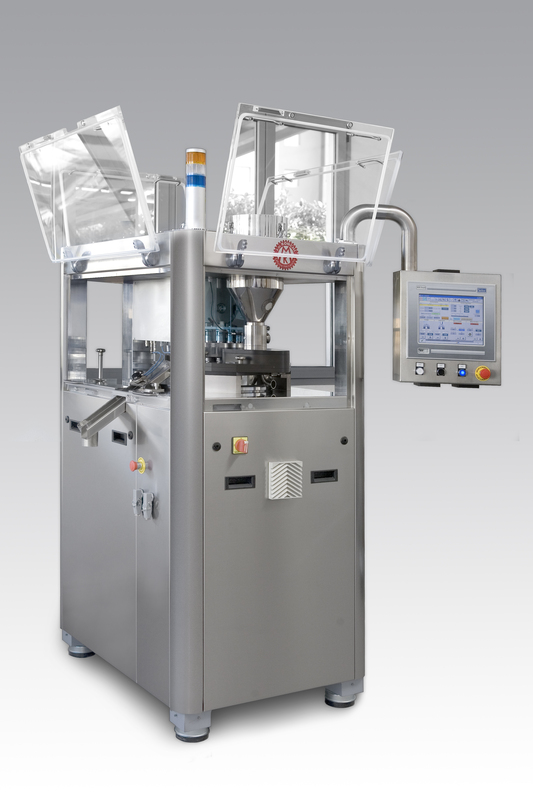 All major parametres such as dosing, compression, speed output, feeding speed, can be changed and viewed thanks to an industrial PC with Touch Screen connected to a steerable mechanical arm. Other viewable accessory pages are: machine data, batch data, products chart, punch condition, compression force graph, maintainance and diagnostics. It is possible to print main production data. 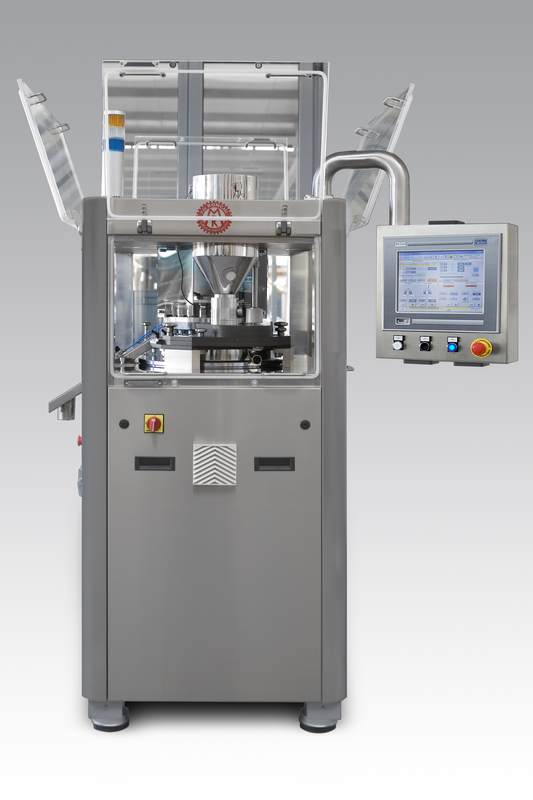 PA Milano is equipped with software Evolution System Press for automatic control of tablet weight: compression stress change is detected through a load cell, thus allowing to keep the tablet weight within the pre-set limits. 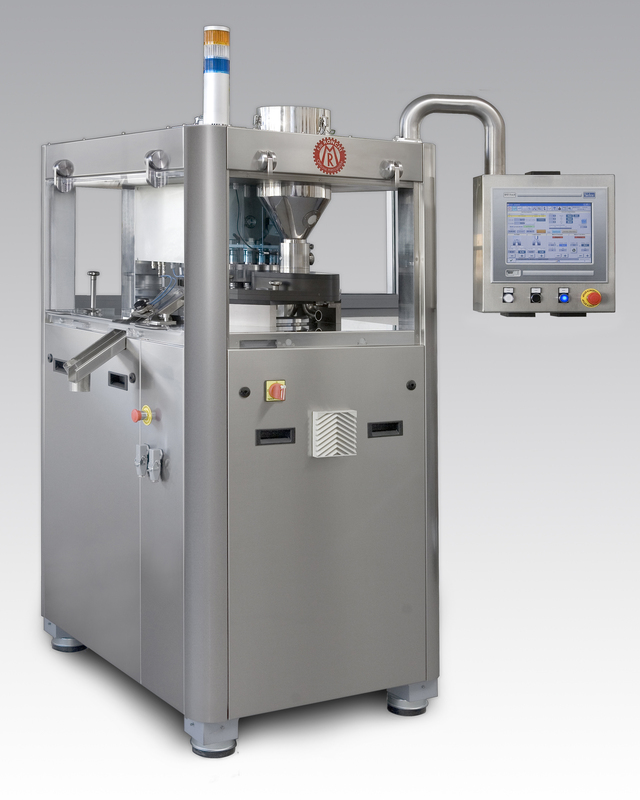 The system keeps the tablets weight constant and rejects tablets out of tolerance.